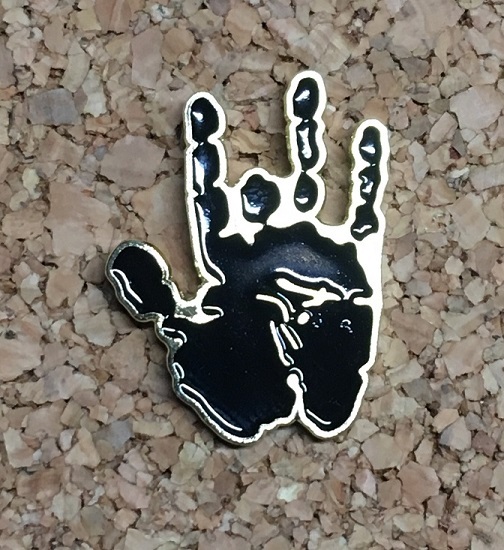 Pin collectors and deadheads, here's a Jerry pin just for you. Jerry's hand is an iconic symbol of Jerry Garcia. Double postings and it measures approximately 1 1/4". This is not official Grateful Dead or Jerry Garcia merchandise, but it's still very cool.